The Nutcracker can be a holiday obligation, like fruit cake, politely consumed but scarcely relished. Not in the hands of the San Pedro City Ballet. Artistic directors Cynthia Bradley and Patrick David Bradley stage a show that has the homespun sweetness of community theater, with the joy intended by Tchaikovksy. There’s a lightness, breath, and daring to this production that even had the house painter next to me smiling. The gorgeous costumes and sets are professional quality — I particularly loved the ruffled bloomers and the rat on wheels. Yes, there’s pride in seeing local faces on stage: a lot of beaming mamas and papas in the audience. In the gorgeous art deco setting of the Warner Grand Theater, in spitting distance of Hollywood, a little miracle unfolds: delight in human form and expression, shared with neighbors. 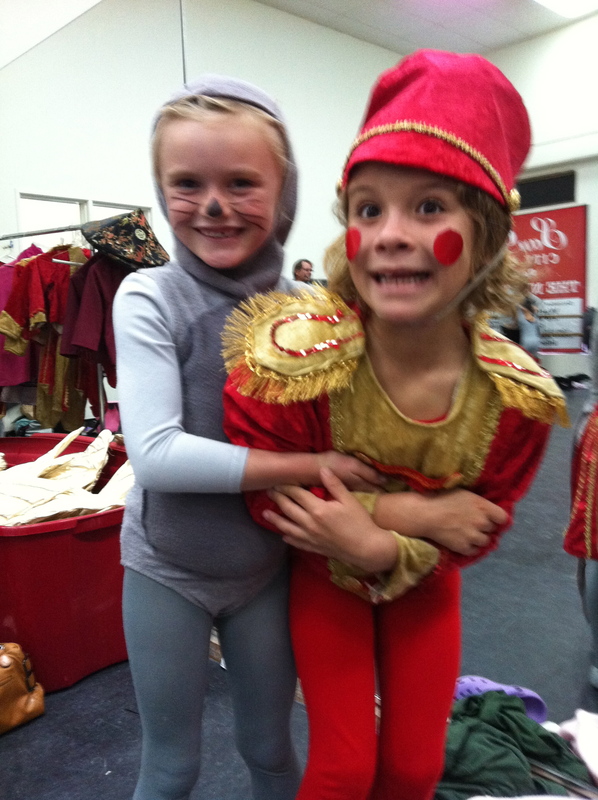 I say all this not just because my son’s a Little Soldier in this year’s production. He’s on stage for maybe five minutes. I watched both shows yesterday and will be there again this afternoon, and I’d be chuckling and weeping even if he didn’t break character and blow me a kiss from stage. Shortening the original and adding idiosyncratic and humorous twists that highlight the strengths of the company and its guests, this Nutcracker flies by. It’s acted, not just danced, with props, gestures, facial expressions, and slapstick making the wordless show easy to follow. Perhaps the best dance comes in the first scene, when Judy Sparacio and Craig Morris metamorphose from hunchbacked grandparents into spry twinkletoes. Morris spins Sparacio in the air then drops her to the floor. Her skirt falls off, revealing her spotted bloomers. Neither dancer are actually octogenarians, but they’re not spring chickens either. Their tango was sweet, funny, and breathtaking. Tone for show set. 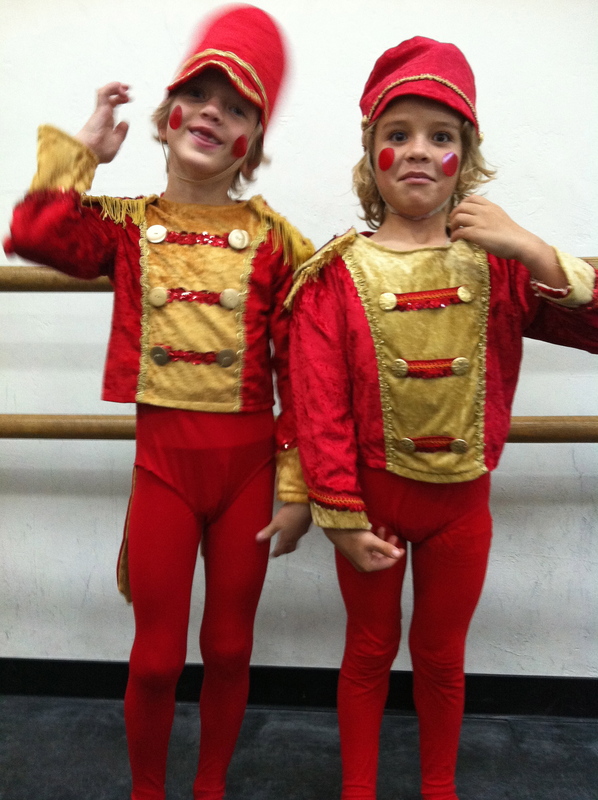 Mostly The Nutcracker is a showcase for young students of the Bradleys. Brianna Walker (Cole’s modern dance teacher) and Juan Jose Wing III drew gasps for their limber, athletic Arabian routine. Danielle Ciaramitaro had near-perfect form as the Little Sugar Plum Fairy, though she kept getting upstaged by the adorable Gum Drops toddling around the stage with her. The production mixed these moments of artistic beauty with moments where gobs of kids swarm the stage. It’s probably not worth the amount of money I’ve pumped into Cole’s theatrical debut for the glimpses I had of him in the battle melee. (The Nutcracker is a major fundraiser for ballet companies everywhere.) But I would support this local art organization anyways. Oh, and I still have one ticket left for today’s 2 p.m. show.